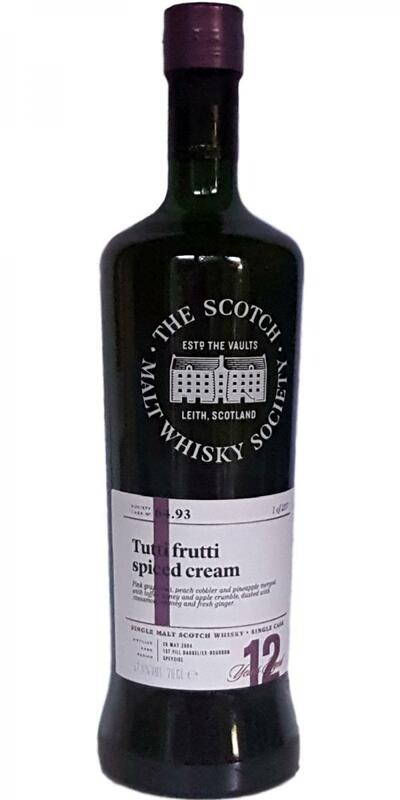 The nose integrated in perfect harmony the fruitiness of pink grapefruit, peach cobbler and quince with the sticky sweetness of soft toffee, runny honey and apple crumble with vanilla custard. Fresh cedar wood mingled with nutmeg and cinnamon while the palate introduced white chocolate with chilli and the warming tingle of fresh ginger. Then tutti frutti ice cream merged with fresh pineapple chunks and racy lemon sherbet before softening to ripe melon slices on Parma ham. The refreshing spice of rye whisky blended with fruit cordial to create an intriguing cocktail garnished with glace cherries that lead into a tangy sweet finish of ginger marmalade.